Manchester: Manchester City manager Pep Guardiola fears French full-back Benjamin Mendy faces months on the sidelines with injury and compared his situation to Ilkay Gundogan's nine-month lay-off. Mendy, signed for £50 million ($67 million) from Monaco in the summer, injured his knee during City's weekend win over Crystal Palace and will fly to Barcelona to see Guardiola's personal medical team for tests on Thursday. City are still not certain the full extent of the knee injury but Guardiola nodded when asked if his absence would be measured in months. "He is travelling to Barcelona and we are going to see what he has," said Guardiola after City had continued their unbeaten start to the season with a 2-0 Champions League win over Shakhtar Donetsk on Tuesday. "Our first impression is that it will it be a little long, longer than we expected which is unfortunate. Wait but I am pretty sure it will be longer than we would like. "It's very frustrating for him, first as a person but, like happened with (City midfielder) Ilkay Gundogan, I feel really sad for him. "The way we want to play, we will miss him a lot. 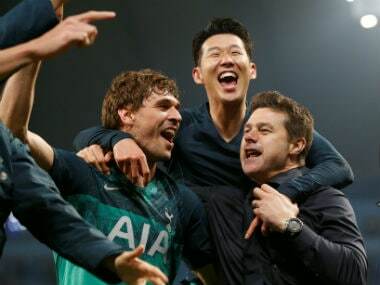 He is a unique player, the joy he gives on and off the pitch. I think it is a major setback." 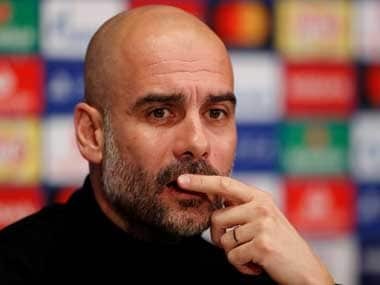 Guardiola, who spent £130 million on three full-backs in a 10-day period over the summer, also conceded that the injury could force his club into the transfer market in January for a replacement. "We will see in January," he said. "We thought next summer we would look for another left-back but we will see what we will do. "We have alternatives in the squad - Danilo, (Fabian) Delph, Fernandinho can play there. We will see as we go along." City’s victory, their eighth in nine unbeaten games this season, featured goals from Kevin De Bruyne and Raheem Sterling. But Sergio Aguero missed a penalty which would have seen him equal Eric Brook's club record of 177 goals which dates back to the 1930s. Guardiola said: "It doesn't matter that he missed a penalty. The next time he will score. "That is going to happen. It doesn't matter today or tomorrow. He doesn't need 50 goals to break a record just one. The moment it happens ask me about it." 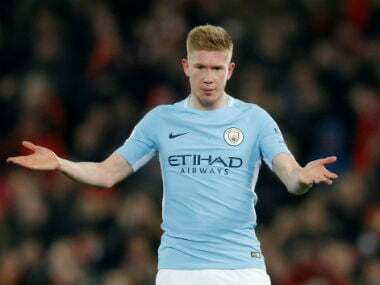 City have now compiled an astonishing 29-3 goal difference in their nine games this season and, as they prepare for Saturday's visit to defending champions Chelsea, their manager admits he does not know his best attacking formation. "No. I have a lot of confidence in five or six players. When playing with Sergio or Gabriel (Jesus) we have a lot of confidence," he said. "Bernardo (Silva) is an extraordinarily good player. A perfect player. I have a lot of confidence in them all. I sleep well in that respect." City also beat Shakhtar with converted midfielder Fabian Delph playing at left-back, as Mendy's stand-in, and Guardiola paid tribute to the performance. "I am so happy with him," said Guardiola. "Midfield players can play everywhere. "He's a nice guy who has no complaints. He understands the rules and he made an amazing game against Marlos. "As a midfield player he is so clever. He didn't miss one pass. I am so happy for him. Last season he was a lot of time injured and when he was fit I didn't count too much on him. That's one of my regrets. "He will play more often and hopefully have a good season. He had an exceptional game." 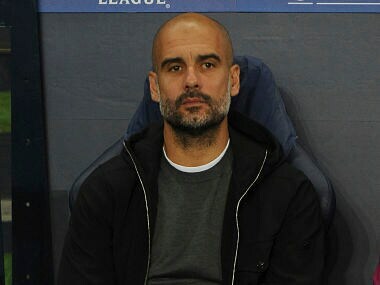 Shakhtar's Portuguese coach Paulo Fonseca exchanged angry words with Guardiola on the touchline during the first half but declined to give details. "I won't tell you everything," he said. "It was a private conversation and it will remain so. "It is difficult to come here and demonstrate such courage as our guys did today."